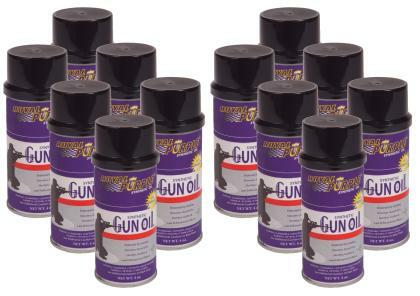 Royal Purple Synthetic Gun Oil is recommended for cleaning of all firearms after use and for preserving them while in storage. It can safely be applied to metal and polymer components. Royal Purple Synthetic Gun Oil is an advanced, high performance lubricant that is specifically formulated to provide exceptional wear protection as well as protection against saltwater and rust corrosion. It also prevents fouling. 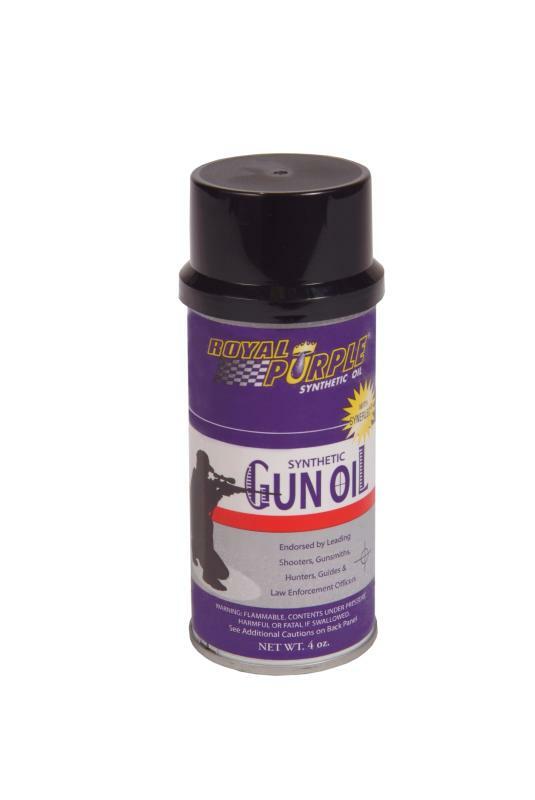 Royal Purple Synthetic Gun Oil works well in a variety of temperatures and will not thicken in cold weather. Its performance advantages stem from Synerlec®, Royal Purple’s proprietary additive technology. In addition to gun applications, Royal Purple Synthetic Gun Oil can also be used for fishing tackle, locks and hinges.